This is a must do for anyone visting Las Vegas. 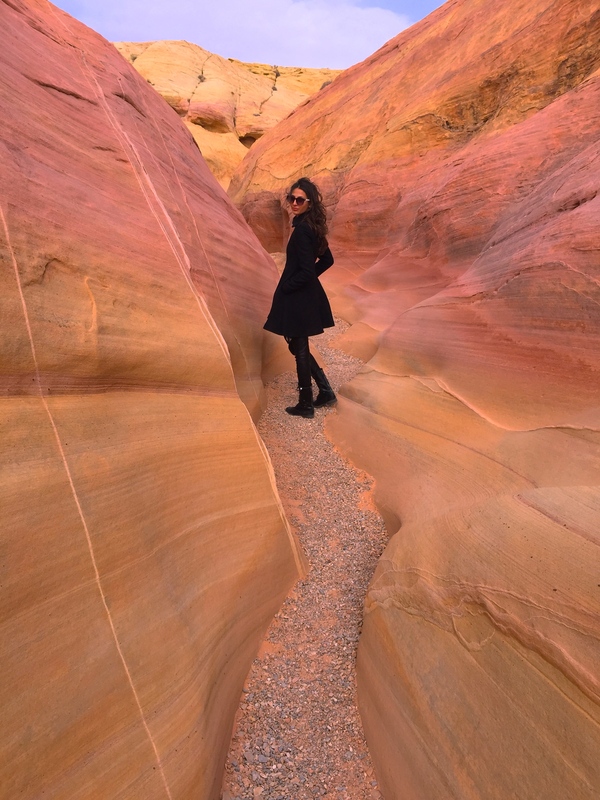 The Valley of Fire is only a 1 hour drive from the strip! I’ve done the Grand Canyon before and this was 100 times better, way closer, and cheaper! Don’t bother going on a over priced tour. We rented a car for the day which was $45.00 and the park entrance fee was $10.00. Worth every penny! This had to be my favorite place in the valley of fire. 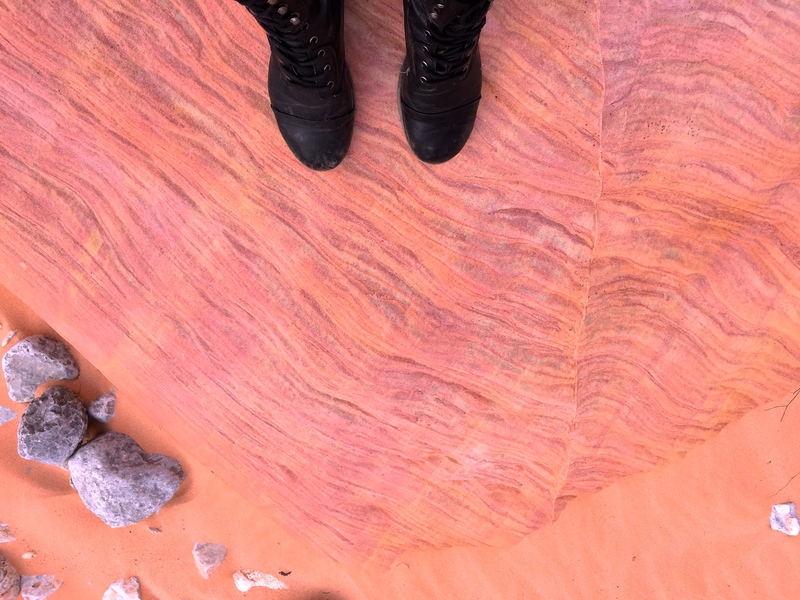 The colors mixed with smooth sandstone are so vivid, I’ve never seen anything like it. It really is out of this world. you feel as if you could be walking around on Mars. This area is not marked on the park map but I can tell you how to get there. Head down the road that leads you to the fire wave. There will be 5 dips in the road that are marked. Pink Canyon is at the 5th dip. If you pass parking lot number 3 you’ve gone to far. Pull over and park your car on the cement slab. head to the right hand side of the road and follow the pink trail to paradise! I’ve read that the best time to visit is in the morning to see the most vivid colors but I was here mid afternoon and it still looked stunning. Your photos are so beautiful. I am confused about the location of the pink canyon. Is it on the same side of the Parking Lot #3? Thanks. Thank you! Pink canyon is not marked on the map or on signs in the park. If you head down the road to the fire wave there will be 5 dips in the road. 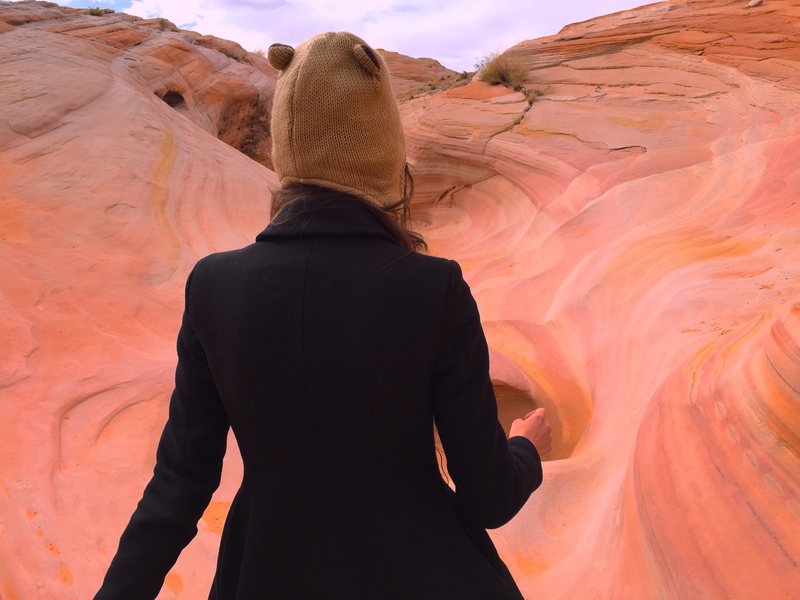 At the fifth dip you pull over the side of the road (there’s no parking lot, because it’s an unmarked trail) and follow what looks like a dried river bed and you will find pink canyon. If you get confused ask a park ranger they might be able to point you in the right direction. Hope this helps!